To help the more than 1,100 individuals seeking food assistance from the Franklin Food Pantry, the Pantry is partnering with the Franklin High School Empty Bowls Club in the 4th Annual Empty Bowls Dinner on May 2, from 6 – 8 PM at Franklin High School. The dinner event, which features a simple meal of soup and bread served “soup-kitchen” style, will set the stage for community members to join in support of the Franklin Food Pantry. The open house format welcomes attendees any time between 6 – 8 PM. 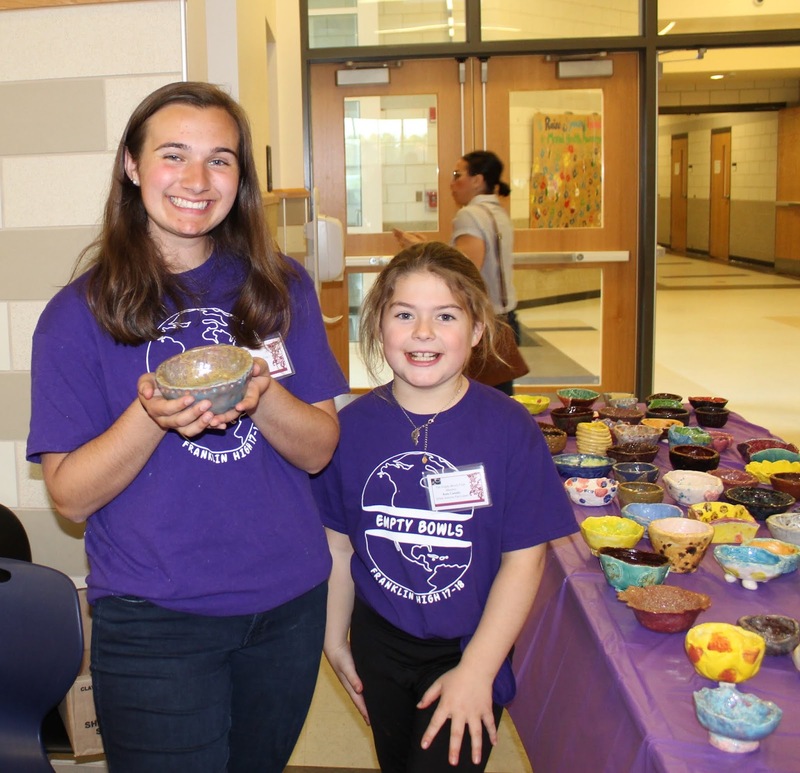 The event serves as a reminder of the many “empty bowls” that exist in the lives of those who experience hunger. The awareness and fundraising event is family-friendly and caters to all ages. The Pantry distributed more than 300,000 pounds of food in 2018, which was a 24 percent increase over the prior year. The event includes a silent auction featuring more elaborate pieces that have been created and painted by members of the FHS Empty Bowls Club and community members. In addition, kids of all ages will have an opportunity to make a bowl to take home with them as part of ArtWeek. Donations made via the Giving Wall will be used to purchase food for neighbors in need. All proceeds from the event will benefit the Franklin Food Pantry and will be used to fight hunger locally. Tickets must be bought in advance and can be purchased online at www.franklinfoodpantry.org. Seating is limited to 400 guests so tickets will be sold on a first-come, first-served basis. The cost is $20 for adults and $10 for children and students.